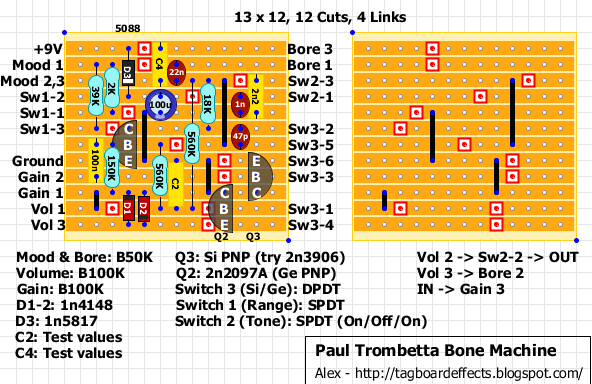 Here's a really nice delay designed by Nocentelli. You can find the original thread on FSB here. 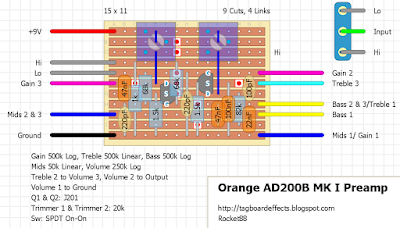 Here's a variation on the deep blue delay; two PT2399 chips and a current mirror delay pot give around 2200ms delay, although beyond 700ms gets pretty lo-fi. 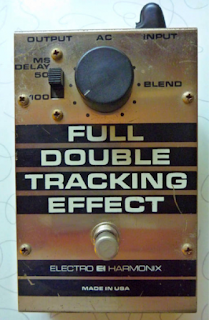 There are two points where a momentary SPST can be used: Either to briefly connect the input to the delay input on select phrases (dub mode), or to bypass the repeats feedback resistor for self-oscillation on demand. A dual overdrive based on the classic grey spec DOD 250. 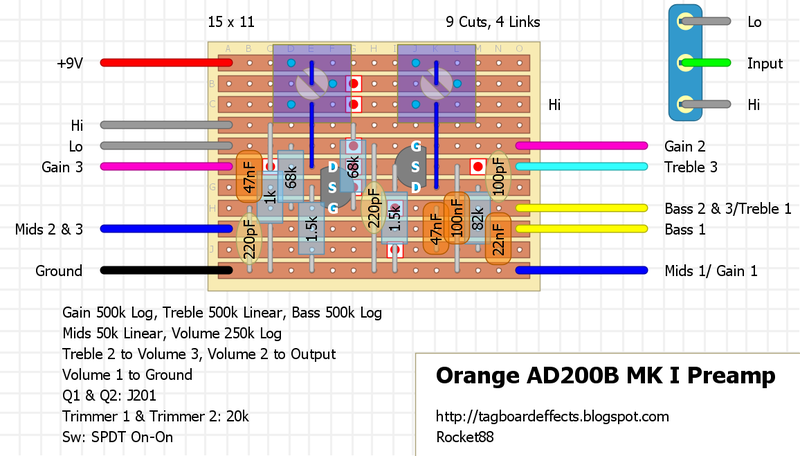 The schematic didn't come from the original EQD pedal. 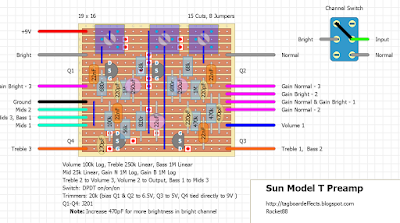 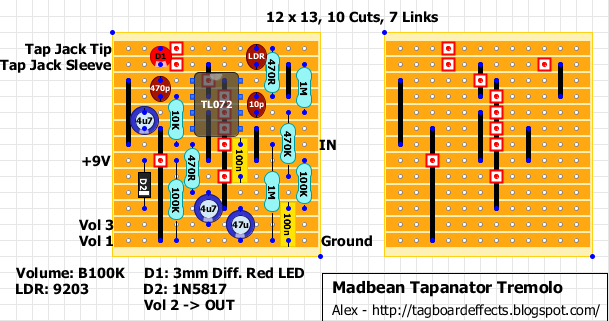 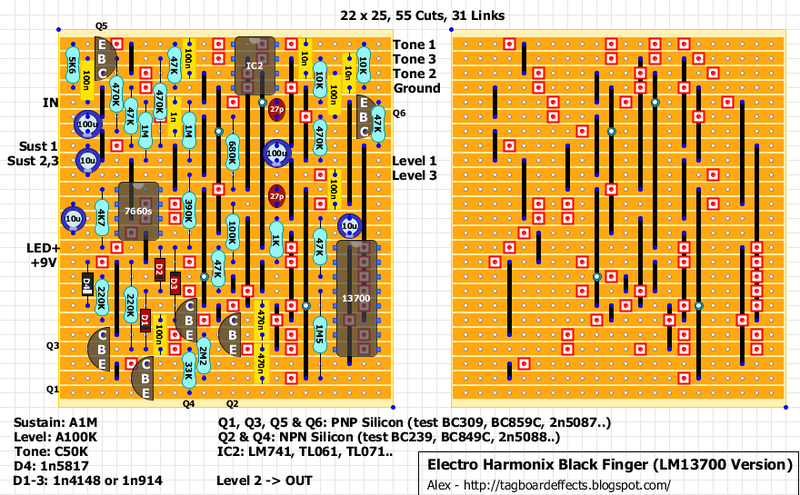 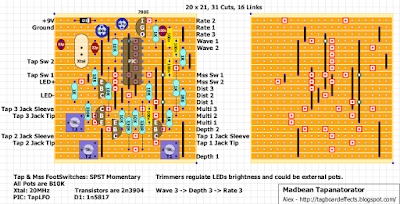 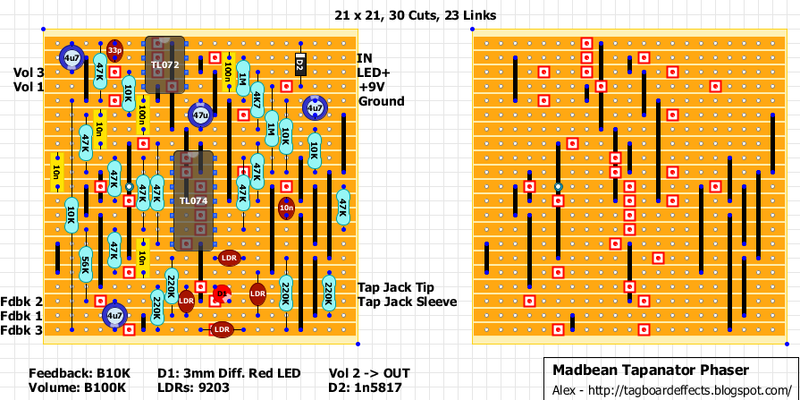 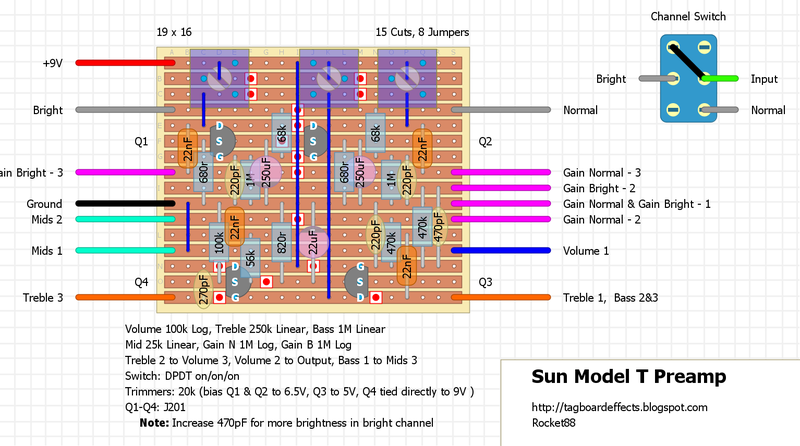 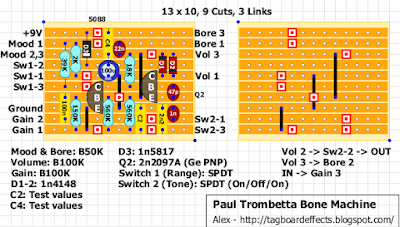 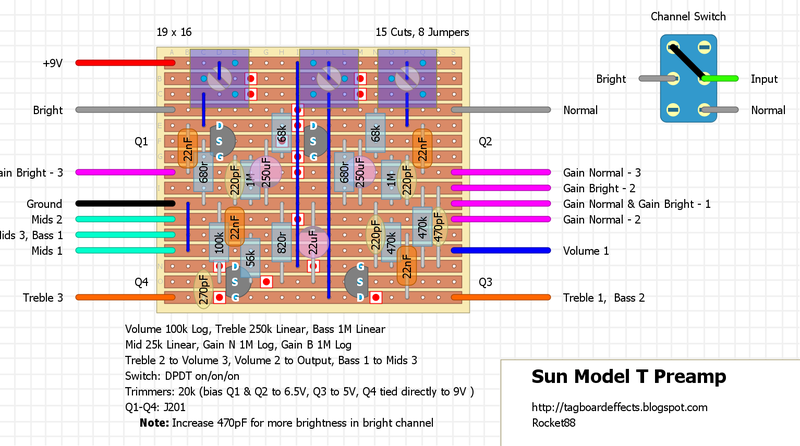 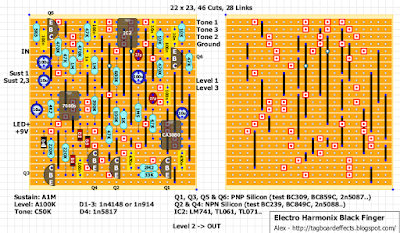 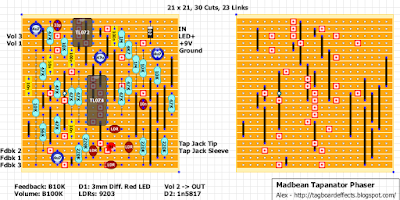 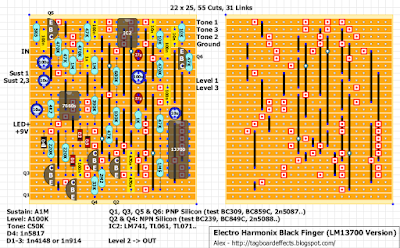 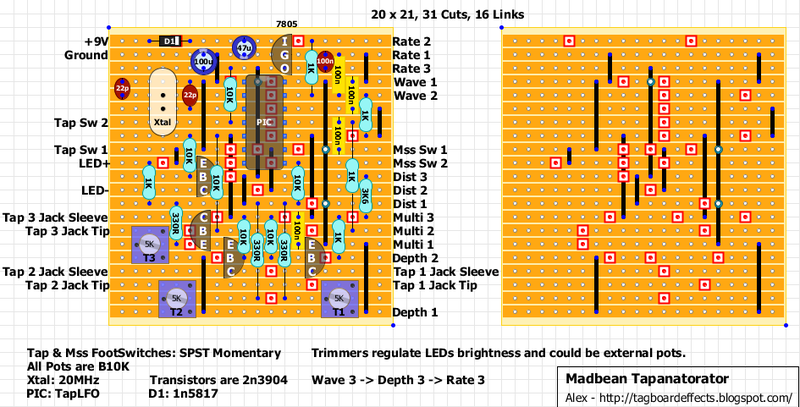 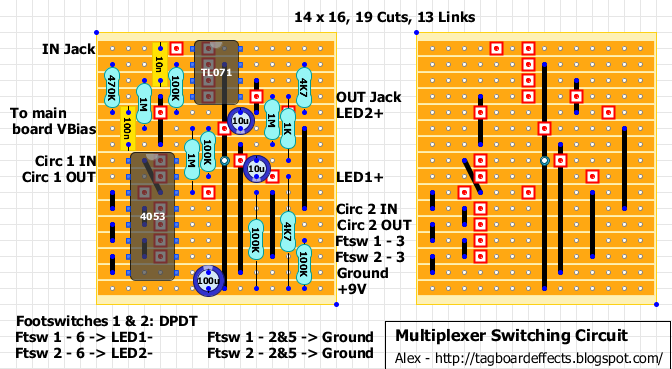 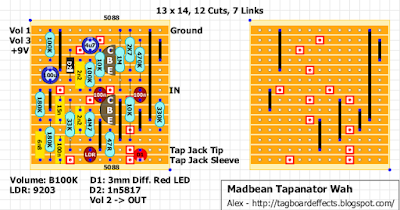 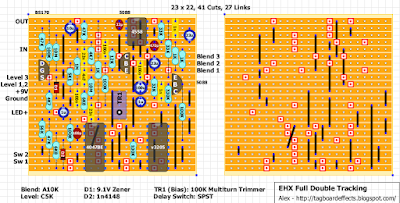 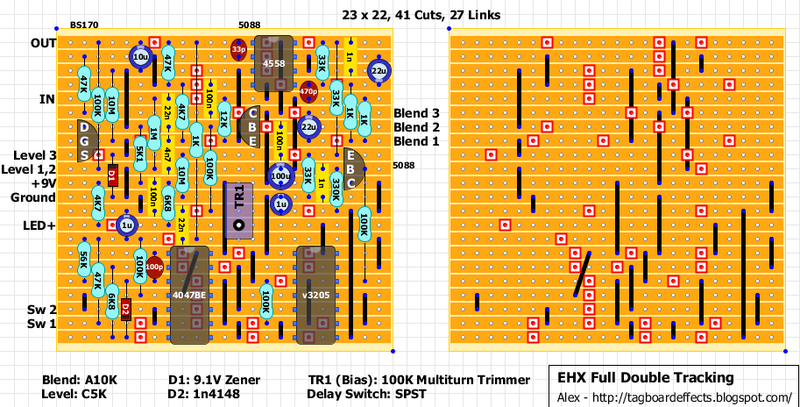 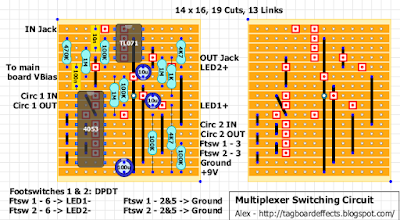 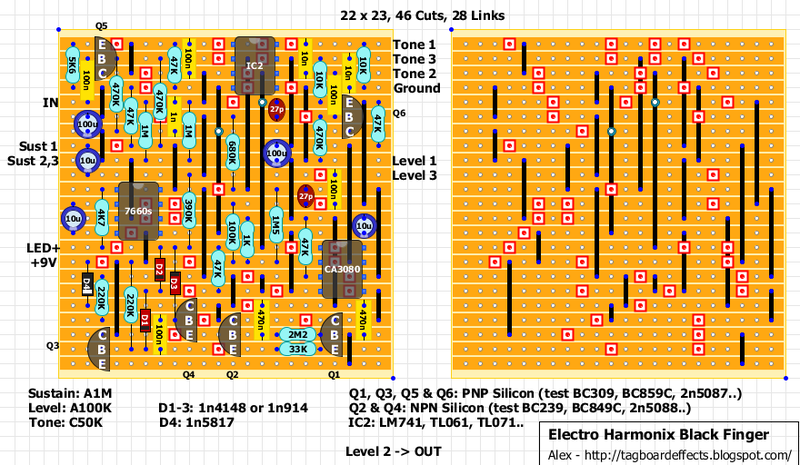 David has recreated the circuit on his website (Perf & PCB Effects Layouts). 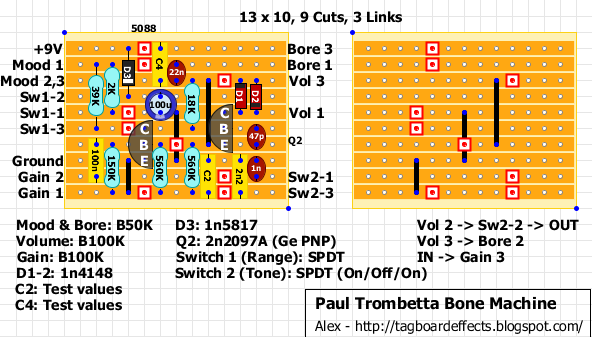 You can find his original and verified layout here.